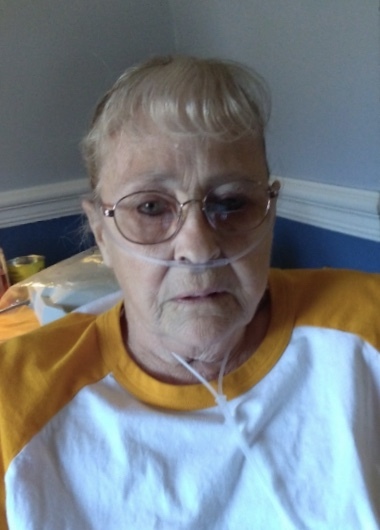 Janet Elaine O’Rourke, 75 of Harrisville, passed away at 3:12 am on Tuesday, November 7, 2017 at Butler Memorial Hospital. Janet was born in Jeanette, Westmoreland County, on February 14, 1942 to the late John Howard Koerber and Irene Watkins Koerber. She was a cook at various restaurants over the years having started when she was fifteen years old. Janet was married to Aaron Bernard “Bud” O’Rourke Sr., he preceded her in death in 1994. Janet loved to play bingo and do arts and crafts. She enjoyed drawing and was very talented at it. She was a resident of Autumn Grove. Janet would love to relax and sit back with a cold beer. Most of all she loved her family. Janet is survived by four children, Collen O’Conner of Grove City, Tammy O’Rourke of St. Cloud, FL, Shawn O’ Rourke of Prospect, and Don Dugan of Turtle Creek, numerous grandchildren and great grandchildren, and three brothers John, David, and Warren Koerber. In addition to her parents and husband, Janet was preceded in death by three children, Aaron Bernard O’Rourke Jr. Patricia Crouch, and Traci Diane O’Rourke, as well as two sisters, Candy Clark and Judy Hanley. Funeral arrangements have been entrusted to Jamison Funeral Home, Inc. 117 N. Main Street, Harrisville, where family and friends are welcome from 1 pm until 3 pm on Monday, November 13, 2017. A funeral service will follow at the funeral home at 3 pm with the Reverend Justin Spurgin, Pastor of Messiah Baptist Church in Franklin, Officiating.